What is the best way to show Electronic Warfare Countermeasures to Law Enforcement? The Military? Government Agencies? IED Jammers and IED Jammer technologies require a live demonstration. While some present brochures, information from the web, HSS recommends a live demonstration for proof of: a) efficient jamming b) signal attributes c) RF field strength and more. HSS Partners are given IED Jammer Sales & Marketing Support, IED Jammer Technical Support, Training Support, and Cooperative Assistance. While we train at our factory and offices, most users prefer a live demonstration or a presentation with training in their country. To get involved and explore how to start reselling IED Jammers to Government, Military, and Law Enforcement Agencies, you can visit the Security Business Opportunities website. There you may learn more about the system solutions offered in the area of RF Jamming. You may also scroll down and fill out the form below. IED Jammers and countermeasure systems featuring the Bomb Jammer ™ line of IED Jammers confront the problem of roadside bomb attacks by insurgents and terrorists who activate IED's using remote control. Bomb Jammer ™ Electronic Warfare IED Jammers give protective forces the edge against radio controlled IED's when traveling through hostile environments. 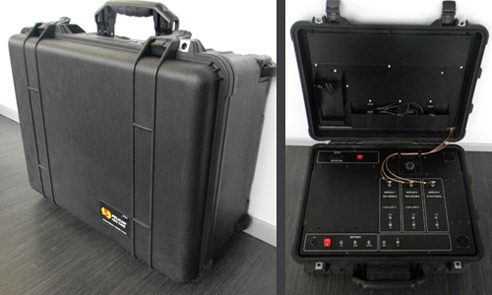 Bomb Jammer™ Electronic Warfare IED Jammers may be available for resale by HSS Partners.